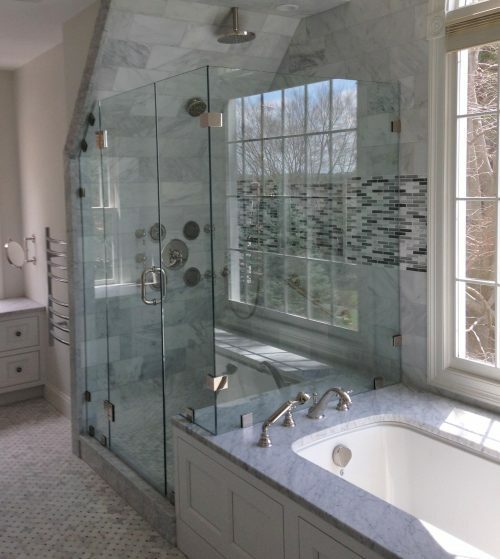 We create a custom glass shower enclosure to fit your tub, shower stall, or tiled opening and will be Installed by our Professional Technicians. 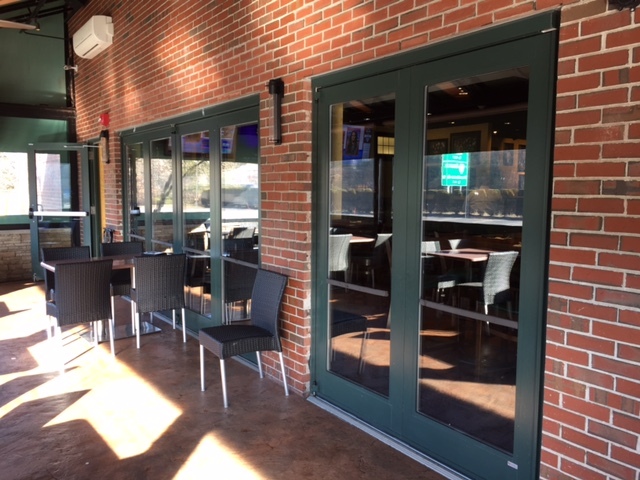 Aluminum & Glass Entrances, Railings, Interior Partitions and more Built and Installed to Your Specs. 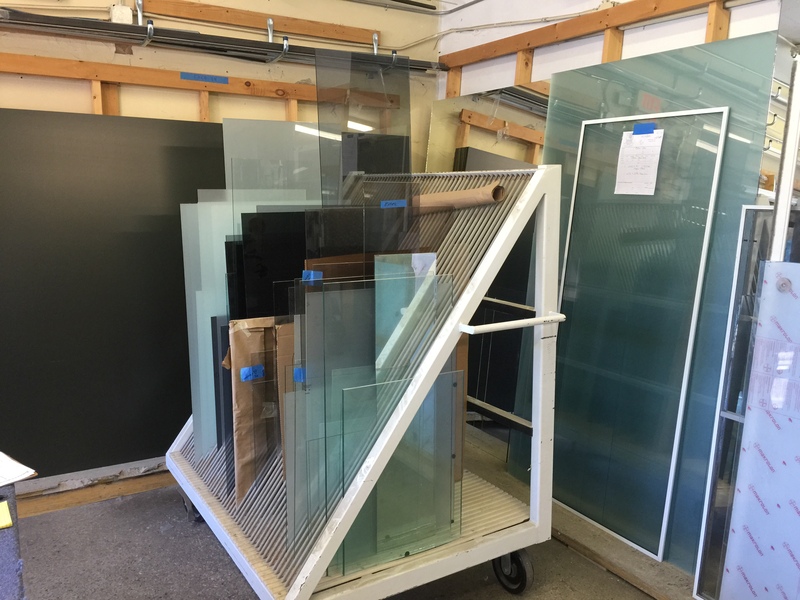 Screens, Glass & Plexiglass Repairs and Fabrication, Tempered & Insulated Glass Replacements. 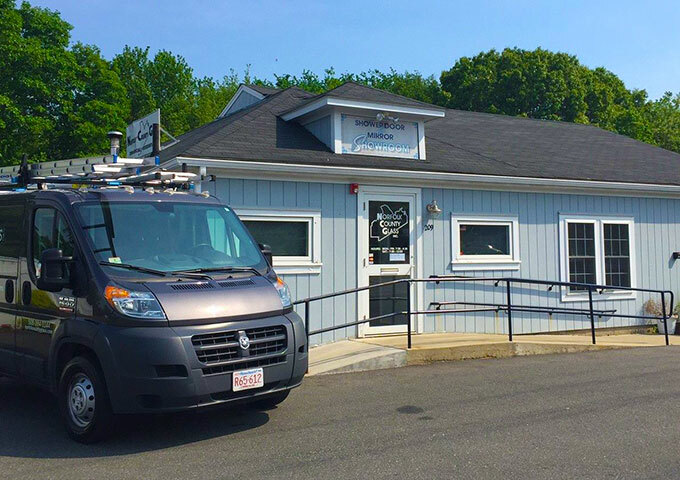 Norfolk County Glass is a full service glass company, conveniently located at the intersection of Routes 1A & 115 in Norfolk, MA. We are a family owned and operated business, opened by Wayne and Ralph Spencer in 2008. 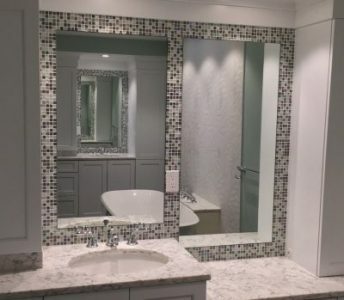 With a combined 80 years in the glass business, we have the expertise to assist the homeowner, builder, or commercial contractor with all of their glass needs, and offer a range of products and services for residential and commercial applications. Call, email, or stop by our showroom to receive a prompt and accurate estimate for your project.